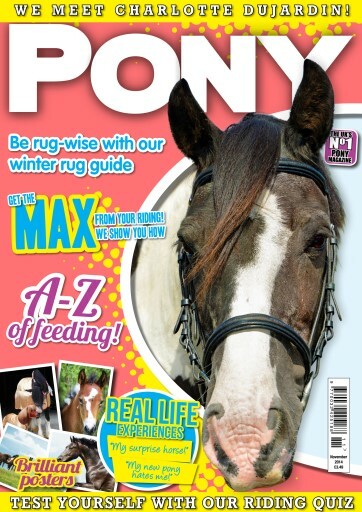 Learn how to get the max from your riding lessons, be rug-wise with our winter rug guide and read our A-Z of feeding, all in November's PONY mag! PLUS read readers' real life experienses - "My new pony hates me!" - and WIN loads of great goodies from Baileys, Mountain Horse and more!